From stimulating on-stage discussions & interviews, attendees can expect immersive happenings such as art installations and food & beverage hubs! LOS ANGELES, CA, USA, November 5, 2018 /EINPresswire.com/ -- Los Angeles - The Boutique and Lifestyle Leaders Association (BLLA) is proud to announce the organization's annual conference, called Stay Boutique Live, The Trifecta, will take place at the Magic Box - The Reef, one of the most distinctive venues in downtown Los Angeles. With over 60,000 sq. ft. of exhibit and conference space available, this year's conference is the greatest opportunity to connect with the expanded boutique community. The Stay Boutique Leadership Conference / Awards / Female Empowerment Edition are three events housed simultaneously in one exciting two-and-a-half-day conference taking place on February 11-13, 2019. It also includes a half day Boutique Bootcamp. Aside from stimulating on-stage discussions and interviews, attendees can expect to participate in immersive happenings such as art installations, food & beverage hubs with new organic and health-conscious products as well as multiple exhibitions with a curated experience presented by Atomic Design. Other experiences include taking a boxing fitness class sponsored by Box Union among others. "This years event is going to be spectacular, especially with these new experiences for attendees," stated Frances Kiradjian, BLLA CEO. Participants, speakers, presenters, panelists, and even Stay Boutique's very own COO, Ariela Kiradjian, will tell you that "a boutique hotel is a provider of an experience that you can't get anywhere else." Speakers include the thought-leaders of today's boutique industry who will inspire participants with presentations aimed at elevating the industry's standards and its promotion to the world's travelers and consumers. 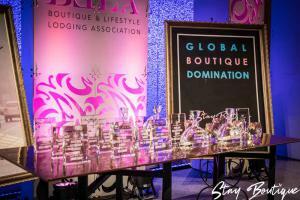 Founded in 2010, the Stay Boutique Awards originally served to recognize leaders of independent hotels globally and the properties themselves. However, with the advent of new technologies, the boutique sector is now open and accessible to everyone. Frances Kiradjian, Founder and CEO of BLLA, stated, "We have become an inclusive community. Gone are the days when boutique simply meant intimate. Candy shops, coffee houses and even fitness studios have tapped into the potential of boutique, and BLLA is here to distinguish the outliers." The reality is that new technologies and an increasingly connected community allow business owners to facilitate wholesome experiences to any demographic, no matter the establishment or product being vended. BLLA is honored to present the hoteliers, designers, vendors, suppliers, restauranteurs, brand leaders, and thought-innovators with the recognition they deserve. These leaders have helped boutique stake its rightful claim to "powerhouse" status. With each trophy presented on-stage, BLLA hopes to motivate the community in return, curating a climate across the industry for another year ripe with expansion and success. Transformed from the (Travel Industry) Executive Women's Conference, The Female Empowerment Edition, held on the last day of the conference, recognizes women internationally who lead in fields related to boutique, hospitality, travel, and tourism. This conference consciously creates a forum for women to support each other and to discuss, debate, and deliberate on issues of importance as it relates to the modern female achiever. 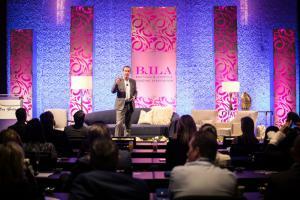 As the boutique community grows, BLLA feels it's important to tackle issues that influential women in the travel, tourism, boutique, and hospitality spaces must face in the world today. BLLA consciously supports all avenues to success for their network of femme entrepreneurs and professionals. This group is more than 10,500 women globally who belong to the network.